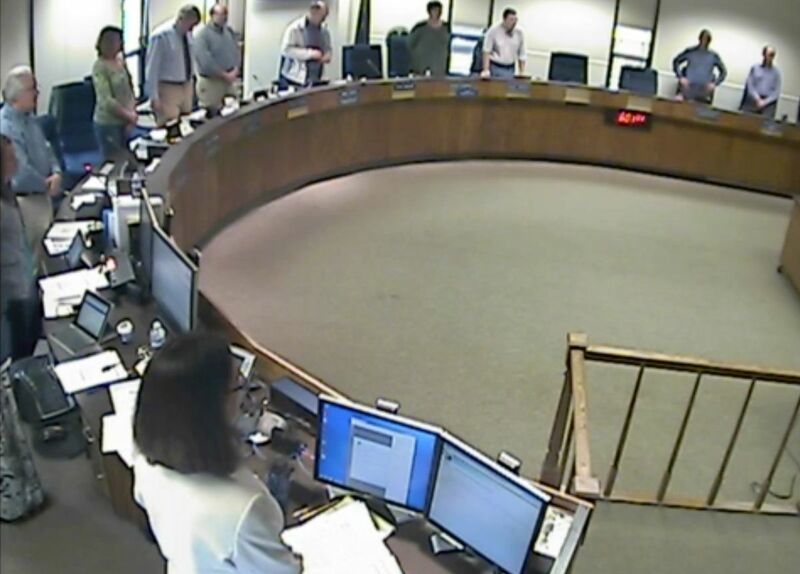 Kenai Assembly’s invocation policy was ruled unconstitutional. Now atheists and a ‘pastafarian’ are set to open meetings. On Alaska’s Kenai Peninsula, there’s a list of people signed up to read invocations to open borough Assembly meetings in 2019. The list includes Christian pastors, atheists and a member of the Church of the Flying Spaghetti Monster. Such is the result of a battle that has simmered for years in the borough over whether the Assembly could have rules related to religion — specifically, who could say invocations before its meetings. 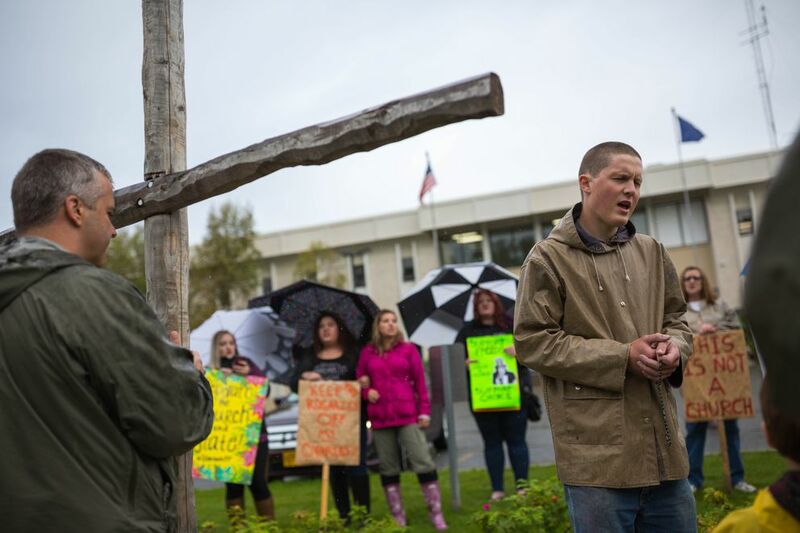 In October, the Alaska Superior Court struck down as unconstitutional a policy saying that only a representative of an Assembly-approved religious group could give invocations before Assembly meetings. The Assembly passed a resolution in November to adopt a new policy, which allows any borough resident to submit a written request to offer an invocation. People started submitting their requests right after the resolution was adopted, said borough clerk Johni Blankenship. Almost all of the 20 spots for 2019 are filled. Among the people set to speak: a "non believer,” a Baha’i, Christian pastors, a Wiccan, a “pastafarian” — that’s the member of the Church of the Flying Spaghetti Monster — and more. Invocations are “supposed to be some type of encouraging word” for the Assembly members before they get into the business of each meeting, said Assembly President Wayne Ogle. Historically, Christian pastors gave the invocations. But in 2016, the Assembly changed the rules in an effort to make things more equitable, allowing anyone to give an invocation by signing up to do so on a first-come, first-served basis. That sparked a back-and-forth discussion for months about what to do with the opening remarks before Assembly meetings. Should they be stopped altogether? Should the Assembly go back to the religious rules? In the end, that’s what the Assembly decided to do. The American Civil Liberties Union of Alaska filed a lawsuit against the borough, citing “unconstitutional discrimination about who may give invocations at Borough Assembly meetings.” In October, the court sided with the ACLU. “The policy was ruled unconstitutional but the issue is still there, whether to have invocation or not,” said Dunne, who “felt kind of vindicated” by the court’s decision. It’s in the borough’s code to start the Assembly meetings with an invocation. Barrett Fletcher lives just outside Homer. He’s the one who signed up to speak as a representative of the Church of the Flying Spaghetti Monster, which “came into the mainstream” in 2005 amid a battle over creationism being taught in Kansas public schools, according to the group’s website. The site says the Church of the Flying Spaghetti Monster isn’t a joke, and that while “we are anti-crazy nonsense done in the name of religion,” the group itself is not anti-religion. “It’s as real as any other religion that exists on the planet,” Fletcher said. He also identifies as a satanist. He doesn’t think religiosity has “any right being in public discourse." He’s set to give opening remarks in September but hopes it doesn’t come to that. “The goal ultimately is to get rid of the invocation," Fletcher said. Keith Hamilton, president of Alaska Christian College in Soldotna, is also on the list to give an invocation next year. He said he’s glad the invocations are continuing but he’s disappointed with the new policy. “Leaving it open to any member of the Peninsula does leave it open for some ... the idea that it would be used improperly,” he said, pointing to people possibly using invocations as an opportunity to make political statements. Ogle thought there were “errors” in the court’s October ruling that found the old policy violated the Alaska Constitution, but he thinks the compromise the borough is left with is a good one because the invocations can continue. He hopes people don’t use the opening remarks as an opportunity to ridicule other religions. It’s been “kind of a strange situation” to have the invocation issue ongoing for years, Dunne said, "when we have much more important work to do.